Jewelry is nothing if not personal. It is what you have and hold. Any jewel, of course, can have special meaning. 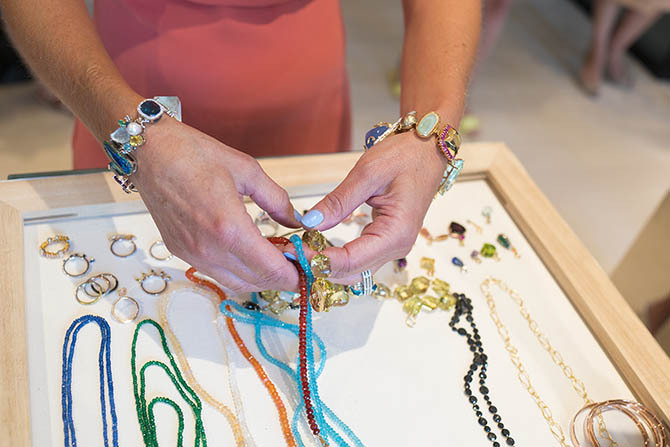 Yet one-of-a-kind custom creations in beautiful gems and precious metals are the stuff jewelry dreams are made of. From the annals of jewelry history, there was a journeyman jewelry designer, Maurice Duvalet, who created memorable personalized pieces. One he designed, while working for New York jeweler Charlton & Co. during the 1930s, was a wide black enamel and gold bracelet decorated with Africa’s Big Five to commemorate the animals a client had spotted while on safari. Duvalet bonded with clients drawing their portraits in jewelry design style when they dropped by the boutique. 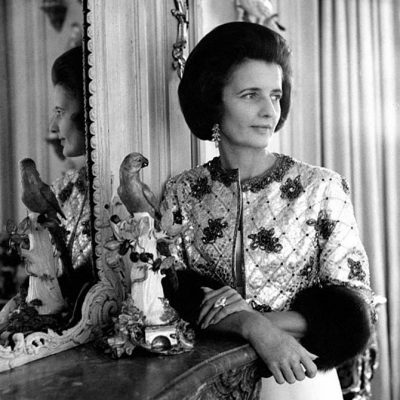 When Duvalet became a designer at Van Cleef & Arpels in New York, he made the famous ballerina brooches for dance fans including Marjorie Merriweather Post. He was also most likely responsible for Van Cleef’s jeweled brooch rendition of Goya’s painting the Red Boy, commissioned by the owner of the artwork, Jules Bach, who gave the little jewelry masterpiece to his daughter Kitty Miller. This type of playful and precious personalized jewelry was exceptional in the past. Today it is even more of a rare offering from designers. Yet it has been revived and updated by designer Sharon Khazzam in collaboration with Barneys. Signature by Sharon Khazzam consists of personal appearances in private shopping spaces at Barneys around the country. Each location is decorated in the manner of a glamorous living room with couches for sitting, catered food and drinks for enjoying and loads of Sharon’s colorful jewelry for inspiration. 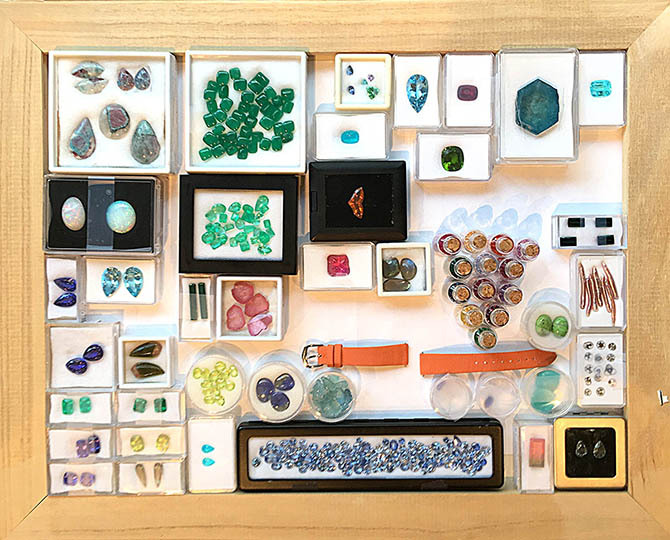 One of the most eye-catching parts of the setup is the massive collection of gems Sharon brings to each event for clients to peruse and choose from for their special pieces. Classically trained, Sharon says from the moment she learned about jewelry in art school, the drawing was her favorite part. Before launching her collection at Barneys in 2001, she refined her skills working for one of the greatest manufacturers in New York, if not the world, Carvin French. The designer was also responsible for the important jewelry at Asprey for many years. At Barneys, the process in the Signature salon varies from client to client. 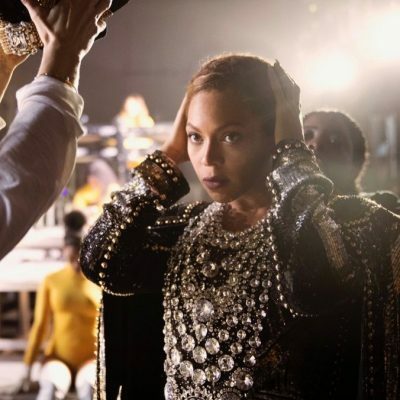 “Some just want to pick special stones to make their own color combinations in existing jewels like my Bumble Bee or Carol earrings or my shimmy rings or gem charms,” explains Sharon. 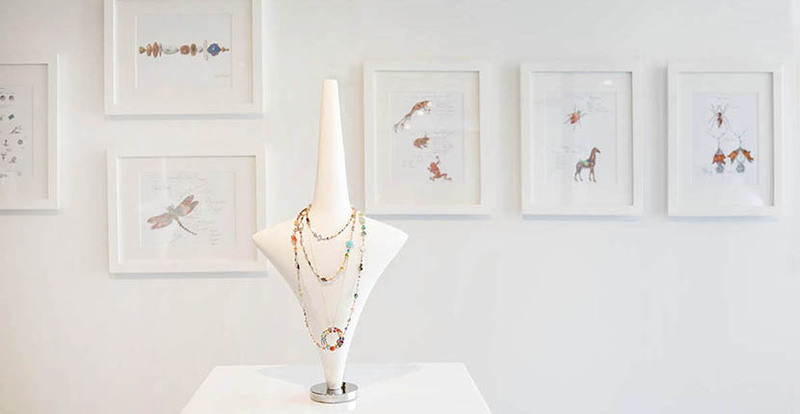 See one of Sharon’s drawings and the gem placement for a pair of Carol earrings joyfully played out in this short video directed by her daughter Alexandra Ainatchi, a curator at SUS Gallery. Often clients at the Signature events will pick stones and begin more of an elaborate design process with Sharon. “Once a woman came in, found a pair of gems that she liked and asked me to make earrings for her using them.” On the spot, Sharon sketched a new design while the client watched. The next stage of the process is a more formal drawing Sharon does at her studio, rendering the jewel exactly to scale using gauges and rulers so nothing is left to chance in the manufacturing. Sharon’s drawing of a Bauble Bracelet next to her design of the jewel. For more information on Signature by Sharon Khazzam email SKSignatureNY@barneys.com During October 2016 Sharon will be making appearances at Barneys in San Francisco and Chicago and more dates are in the works.